Allow them to connect with one another in FELLOWSHIP Give them a place where they can learn and have FUN Fusion holds bi-monthly Youth Nights on the second and fourth Saturdays of every month (during the school year). A typical Youth Night begins at 6PM with pizza and a chance to socialize with one another. Afterwards, they are invited to sing along with a variety of contemporary worship songs and prayers. Following that, they can take part in an exciting ice-breaker game (ex: Pictionary, Top 5 Trivia, etc.) Finally, the teens get to watch a short video that's relevant to their Catholic faith. Followed by discussion in a Q&A-style section. Youth Night usually ends around 8:30PM. If you have any teens who might be interested, please contact Paul Oakes, the Youth Ministry Leader at Immaculate Heart of Mary. 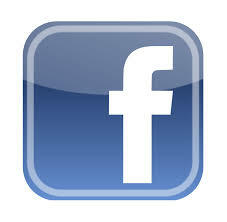 Also, did you know Fusion has its own Facebook Page? Just click the link below to join.